Once again I was looking for a dessert or snack that had no added sugar. This one uses dates instead of refined sugar, so even though there is still sugar in it, it is a healthier snack than if you use ordinary sugar! These are very moorish and just one is enough to satisfy my waning sweet tooth. Put ½ cup of the hazelnuts into the food processor and process until finely chopped. Transfer to a plate. Process 1 cup of the remaining hazelnuts in the food processor and process again until they are finely chopped. Add the chopped dates, cacao powder, and nutmeg. Process until it is well combined. Add about 2 tsp of hot water and process until the mixture is more or less a solid ball. Put some baking paper on a baking tray. Using damp hands, and keeping water next to you so you can keep dipping your hands into it, roll about 2 teaspoons of the mixture into balls. Roll each ball into the reserved hazelnuts to coat them. If this does not stick, dip the balls quickly into the water before rolling them in the nuts. Place them on the baking paper, put in the fridge for an hour, and eat. Keep in an airtight container in the fridge and they will last for weeks if your will power does! Do you or your partner replace oil yourselves in the car? 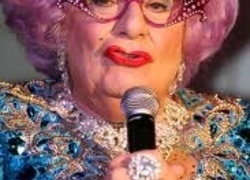 Do you like Dame Edna, and have you seen her live? 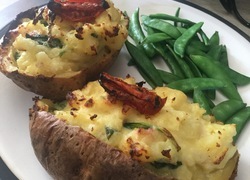 to be perfectly honest, I forgot anyway - I did the recipe and then typed and didnt even realise I had not peeled them.....don't think it made a difference. 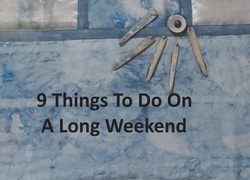 I am doing a whole lot of similar ones as I can no longer refined sugar and have a sweet tooth. Thanks Finy, that's good to know because that makes this recipe really easy now! Thanks for the recipe Finy. I tried it today and it is such a great, healthy way to use up the leftover dates from Christmas cooking! I found peeling the hazelnuts a bit painful though - did you manage to source peeled hazelnuts from somewhere? Coles only seems to have the unpeeled version in the cooking isle.